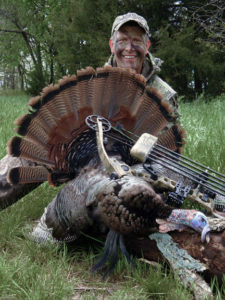 Hunts are on existing wild flocks for Eastern and Rio Grande Turkey. On land we lease to gain exclusive use in Kansas, Missouri, Iowa. What we bring to the hunter beyond private land is knowledge of where to get out to pursue several toms. This now makes such effort two parts. 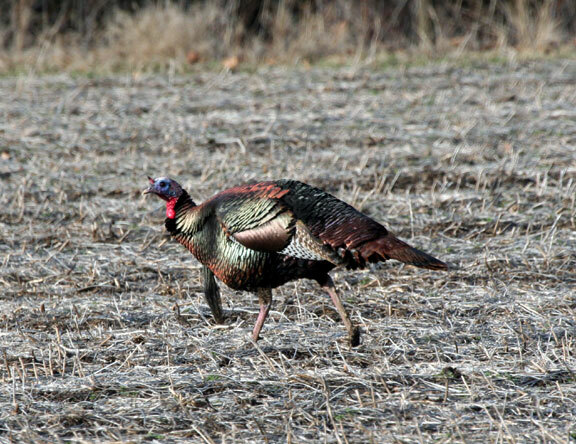 First, is to secure good habitat within parts of each state with sustainable wild turkey flocks. Second, is to pass that knowledge on to Association hunters. Hunters then is on his own on a self guided or a do it yourself effort to fill his tags. We essentially take mystery out finding more than one place to spend a day. Make land with good cover/food available. Hunters make their own success. While it is simple, the tough part we overcome is knowing where to park a truck, step out and turkey hunt. Getting over that hump allows folks to spend their time concentrating on his hunt rather than exercise trail & error of finding a spot until hitting it right. A further simplicity which keeps costs down is we do not have a lodge mortgage or Jacuzzi heating bill to pay. A savings passed on to all. Also, such differences is how we can not be easily compared to most other pay hunt operations which cost more to hunt three days than we charge for an entire season. hese skill expectations is an ability to scout. Scouting is required even when we can get any hunter to a farm having a roost, strutting, feeding or nesting habitat allowing a good spring season day. Finding that exact spot to set up is the hunter’s responsibility. This is typically satisfied by “roosting” a flock an evening before a morning effort. Knowing where their strutting, feeding, nesting areas are will allow a hunter to interdict a flock’s daily movement pattern. All which is possible if willing to scout first, bring in a tom second. The price a hunter pays with a self guided operation. We do not want to insult anyone with seemingly obvious discussions. These discussions are coming to agreement on what we provide, what hunters must provide. Ability to camouflage. This may all seem elementary or a needless discussion however, past conversations frequently show ourselves to be a new concept. With questions of what to gather to make a trip satisfied early the rest seems to fall in place. Taking this extra effort now to distinguish between what we provide developing hunter expectations makes a more rewarding relationship. In terms of camouflaging each must provide his own be it simply clothing or a blind manmade or natural. Calling skills provided by hunters. Having his own calls. Knowing which to use is his domain exclusively. We are not a training or give hunting advice group. This organization exists for hunt execution quality phase only. 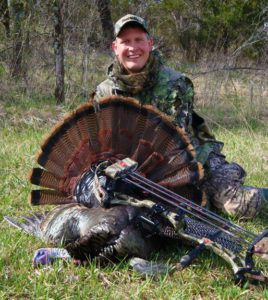 This one small package discussion covers salient points of our wild turkey hunting. We essentially put everyone in a good locality of wild turkeys. Hunters must do all else without help of a field guide, feeders, waterers or any other man-made inducement to provide a predictable appearance by a trophy tom. 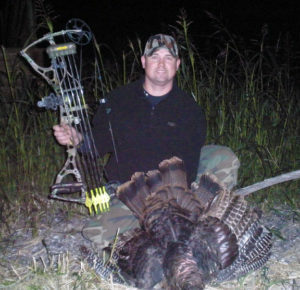 Good wild turkey hunting to all!